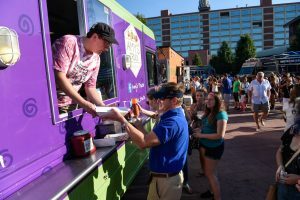 Larkin Square welcomes dozens of food trucks from Buffalo and Rochester. Live music from 5-8pm, plus lawn games, specialty drinks and more! Free to attend thanks to KeyBank and Independent Health.